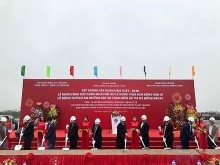 The first phase of the plant, invested with US$30 million by the Tin Nghia Coffee Company, is designed to produce 3,200 tonnes of coffee products per year. The capacity is set to reach 5,000 tonnes in 2019 and 10,000 tonnes of instant and ground roasted coffee in 2021, with total investment capital of some US$100 million. Notably, it applies freeze drying technology that helps ensure the finest quality of coffee. 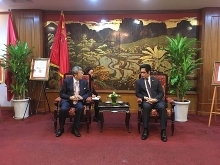 Quach Van Duc, Director General of the Tin Nghia company, said most of the products will be exported to North America, Europe and some markets in the Asia-Pacific region. Chairman of the Dong Nai People’s Committee Dinh Quoc Thai said Vietnam has just mainly exported raw coffee. 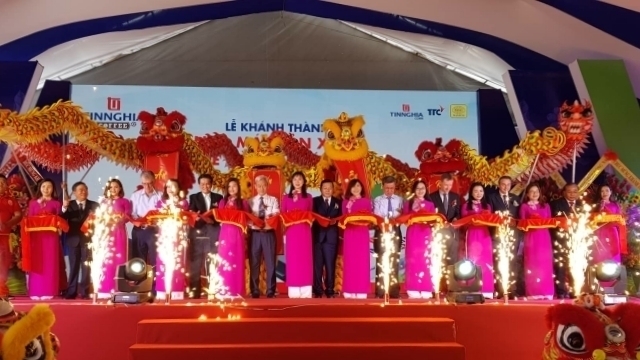 The inauguration of this processing factory will help promote the value of Vietnamese coffee products and brands. The coffee sector currently contributes to about 2% of the country’s GDP and 30% of the Central Highlands provinces’ economy. It creates jobs for more than 2 million direct and indirect labourers, according to Vice Chairman of the Vietnam Coffee and Cocoa Association Nguyen Nam Hai. He added that instant and ground roasted coffee is hoped to make up 25% of total coffee production in 2020, and their export revenue will reach US$3.8 – 4.2 billion annually.